Vienna, Va.- The Electronic Novice Driver’s Road Map (eNDRM™), developed by the Network of Employers for Traffic Safety (NETS) in partnership with Liberty Mutual, has assisted thousands of novice drivers in learning to drive. To make the eNDRM easier to use, and with support from the Coca-Cola Company, NETS has created two short videos. The first introduces the eNDRM and the second provides easy-to-follow instructions on its use. Both videos are available on YouTube. It’s suggested both be viewed before using the eNDRM. The eNDRM is a free download available via the NETS website. It is a curriculum for parents or adult coaches to guide teens in the practice needed to become safe, focused drivers—as well as licensed in nearly all states. The interactive electronic guide is built around a series of eight drives that increase in complexity. Each includes a checklist of practice skills along with a set of detailed instructions and space to add notes. The practice sessions progress from driving in an empty parking lot to driving at night and in inclement weather. A log is included to track practice hours that updates with the time accrued after each entry, a useful tool to assist with graduated driver licensing requirements. 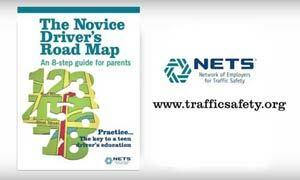 Developed and reviewed by a team of experts and tested by teens and parents, The Novice Driver’s Road Map® includes information on the latest challenges facing young drivers, specifically the dangers of distracted driving. 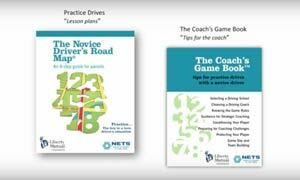 A Coach’s Game Book™ accompanies the eNDRM and provides tips on how to be a good role model, establishing rules and other vital information on the learning-to-drive process. NETS is a 501(c) 3 employer-led organization, a partnership between the U.S. federal government and the private sector. NETS’ mission is to reduce road-related collisions, injuries, deaths and costs. Established in 1989, NETS’ programs and services are dedicated to improving the safety of employees, their families, and members of the communities where they live and work by preventing traffic crashes that occur on-and-off the job. NETS is committed to outreach—providing road safety materials electronically and free of charge. Board member companies include Abbott, AmeriFleet Transportation, Chubb Group of Insurance Companies, The Coca-Cola Company, Hess Corporation, Johnson & Johnson, Liberty Mutual Insurance Group, Monsanto Company, Nationwide Mutual Insurance Group, Shell International Petroleum Company B.V. and UPS. In addition, the National Highway Traffic Safety Administration (NHTSA) and the National Institute for Occupational Safety and Health (NIOSH) serve as federal liaisons to the board of directors.